What do we need to be happy? For most people, happiness is about being loved, appreciated and successful in life. Having a happy, meaningful relationship is an important part of the process. Apart from making us happy, however, a good relationship can have much more benefits. Many studies suggest that benefits of being in relationship have an important effect on mental health. From overcoming anxiety to dealing with other issues, being in love could be the key to handling mental anguish. One of the main positive effects of relationships is that a happy relationship helps the body produce many of the feel-good hormones we need to combat stress. Needless to say, chronic stress is one of the biggest precursors to mental health issues and it should be addressed accordingly. An interesting experiment was carried out among people who had to participate in a public speech. Their stress levels were measured and researchers found out that those who had loved ones in the audience overcame stress much faster. Another study shows that married men have lower levels of stress hormones than single guys. Researchers found out that single men had higher levels of testosterone than those in a relationship, which could impact the ways in which they experienced and responded to stress. Social support in every challenging situation in life is the key to feeling more empowered and less stressed out. Needless to say, the quality of a relationship will matter tremendously for all of the benefits to be experienced. Having someone to back you up and to lean on in challenging times, however, will be essential for overcoming stress in the quickest and most reliable way. Happy relationships can help people who are struggling with serious mental health problems like anxiety and depression. Studies show that health benefits of being in a relationship can be a protective factor for those who are at risk for depression. Researchers have found out that even people who suffer from serious medical conditions tend to be less stressed about them when they have a loved one by their side. 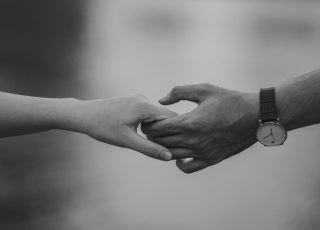 A study presented in the Annals of Behavioral Magazine establishes the connection between marriage and better mental health. Both marital status and marital quality were indicated as important. People in happy marriages were less prone to getting depressed, they had stable blood pressure and a reduced risk of cardiovascular diseases. As a result, married individuals examined in the study benefited from lower mortality rates than their single peers. Single people who aren’t held accountable by someone may adopt a vast range of unhealthy habits. Such habits can be expected to have a profoundly negative effect on physiological and mental health. Having a spouse is usually one of the pros of being in a relationship and keys to taking better care of oneself and eliminating unhealthy habits like smoking, alcohol consumption or leading a sedentary lifestyle. Not only are such habits a detriment to health, they can also deteriorate emotional wellbeing. Being accountable and in charge of one’s emotional and physical wellbeing is yet another source of happiness that stabilizes moods and impacts mental health n a good way. You may feel annoyed by your significant other attempting to change some of your negative habits. Keep in mind, however, that such behaviors on behalf of the person that you love will improve your life quality and help you overcome an array of challenging problems. As already mentioned, being in a committed relationship can help people overcome some particularly serious and grim mental health issues. According to the American Foundation of Suicide Prevention, suicide levels are going up in the US. In 2016, there were 44,965 suicides in the US – an increase of 772 suicides on an annual basis. While attempts to increase suicide awareness have been ongoing for multiple years, the results of such annual surveys are still quite disheartening. People who are happily married are much less likely to commit suicide than their single peers. An Italian survey shows that the people who are at the highest risk of suicide are separated or divorced men and women under the age of 64. The support system that a relationship provides once again shows health benefits of relationship like why individuals may be capable of addressing issues before the situation becomes hopeless. A broken relationship, on the other hand, increases the risk of suicide. Another particularly vulnerable group of individuals is teenagers who have divorced parents. A final mental health benefit worth touching upon is the reduced risk of drug and alcohol consumption whenever an individual is in a good relationship. Studies show that married individuals are more likely to discontinue the use of marijuana than those who are single. A study carried out by University of Virginia researchers and presented in 2016 also suggests that married individuals and those in steady relationships drink less and they have alcohol less frequently than their peers. The impact goes way beyond the two people in a relationship. Teens who have happily married parents are less likely to use cocaine than children growing up in the aftermath of a divorce. Teens who have intact families are also less likely to start smoking. Love makes us happy and it gives us the sense of fulfilment. As a result, we’re much more likely to take care of our bodies and our minds. The quest for love may be a difficult one but it certainly pays off in the end.